No short description available at this time. 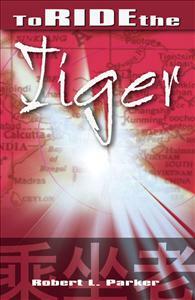 To Ride The Tiger is the author's compelling and chilling autobiography. From the mean streets of the ghetto; from an army special forces sergeant and C.I.A.-trained intelligence expert in Viet Nam; from involuntary civilian psychiatric admissions; to secretly being trained as an army antiterrorist team member, he will be associated with hit-men; antiterrorist teams; military intelligence; an Italian-American Mafia Organization; a Syrian multimillionaire; and a Sicilian Mafia organization. Some people will read about the author and not like him; others will read and recognize him as being just a man. Either way, he will not be easily forgotten.